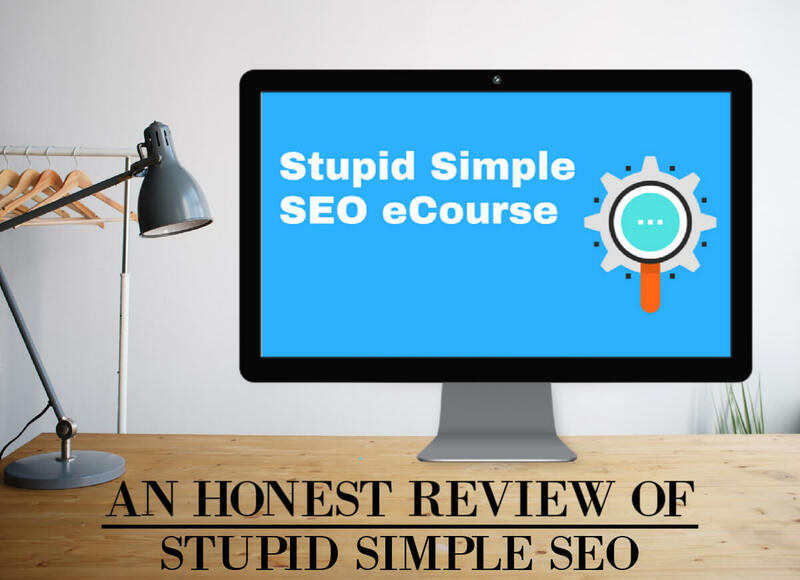 While being honest and objective, this review does contain affiliate links to the Stupid Simple SEO course. See affiliate disclaimer here. We’d done pretty well with traffic from Pinterest since starting our blog in 2016. Our income reports showed that. But the problem was that we literally felt chained to Pinterest. If our Pinterest account got suspended for a short while (it happens every now and then to many legit accounts for some reason), or our pins just weren’t picking up, our traffic went down. When our pins picked up, our traffic went up. That was ok for a time, but after a number of years, I found myself longing not to feel so dependent on how much love Pinterest felt like giving us. It felt like everything depended on it…and that wasn’t just a feeling; despite having a large email list, it was pretty much the truth. And this is not a complaint at Pinterest—seriously, we love this social media platform for what they have (and continue) to provide for websites like ours, but we needed to diversify our traffic. “You need to diversify your traffic” that’s what we knew and kept hearing. But how was that possible? Facebook seemed impossible for a website like ours, Instagram felt more like a way to gain social proof than actual site visits (people liking photos without ever visiting the site and following/unfollowing you all the time). And although we knew YouTube worked for many bloggers, there were only so many hours in the day and making video wasn’t at the top of our priority list. Sure, I know some have made Facebook, Instagram, and YouTube work really for them, and that’s great! But there remained one promising yet elusive frontier left unexplored— SEO. But I realized that it’s basically just about helping Google rank your articles higher in the search engine results. And, the higher our articles ranked on Google, the more people clicked on them, which meant more site visits. Pretty simple really. But how would we even go about doing that? We’d been blogging for 3 years and had TONS of articles already published. We were a multi-niche site and had been told we’d never perform well with SEO because of that. We felt kinda overwhelmed and stuck. That’s until we heard from a blogging friend of ours about Mike Pearson’s Stupid Simple SEO course. I’d never heard of Mike beforehand, but a quick look on his About page revealed that he was “obsessed with teaching bloggers how to grow their audience, traffic, and income with SEO” and that he had “earned over $200,000 with the Amazon Affiliate program with various niche sites” that he’d grown through SEO. He came recommended to us from trusted sources (Making Sense of Cents, Start A Mom Blog, and Mommy On Purpose), his claims were impressive, the success stories of others were encouraging, and his experience of helping over 400 bloggers like us through his premium course was reassuring. I also discovered that Mike, alongside other people taking the course, was very accessible to reach on the Facebook support group you are invited to once entering the course. Again, this was reassuring! We needed to grow in SEO, so we took the plunge. My first impression of the course was a sense of relief in seeing that it hadn’t oversold itself by pushing buzzwords and hype. The course had a TON of videos waiting for me to work through. That’s a LOT of valuable information! In fact, the course contains as of now roughly 770 minutes (about 13 hours) of video, not to mention the other resources contained within the course, and the hours you’ll spend working through it outside of just watching the videos. You’ll have lots to do and learn! One extreme example was in the Keyword Research module where I spent about 2 days working through all the tasks he mentions in that module even though the module’s video length itself is just over 2 hours (130 minutes to be precise). Mike’s teaching style is laid back, even a little bit plain if I’m honest, but I actually appreciated this! Why? Because I’ve seen courses before that flood you with hype and excitement and where it takes you a while to realize you’re not actually learned that much of value. Mike just doesn’t do all that fluff. If you’re passionate about improving your SEO, this is the course for you. Enough said. You won’t be fed hype, false promises and over-excitement. You’ll just be set to work learning and applying all the info presented to you. In the Introduction To The Course module, he sets out realistic expectations straight away so you know what to expect. In particular, the video “How Long Does It Take To Rank?” left me feeling hopeful yet confident about what to actually expect. I also liked his advice in the Site Structure & Design module that showed us how to optimize our multi-niche site the best we could using category pages. Some seriously great info there! The Link Building 101 module will teach you everything you need to know about backlinks and how to get the rights ones for your site. You’ll also learn how to optimize and make epic content likely to rank in Google in the Researching, Creating & Optimizing Epic Content module. But the aforementioned Keyword Research module is Mike’s favorite module in the whole course (he calls it “the most valuable”) and I’d probably agree. He gives some awesome tools on targeting and finding the best keywords for your site. There is SO much valuable information in this course. And, even if a specific question isn’t directly answered in a video, you have the Facebook support group available to ask your question and get answers from Mike and other people with actual SEO experience. That alone is so valuable. But you know what’s even more valuable? The spreadsheets on all your competitor’s backlinks and keywords that Mike walks you through creating using your Ahrefs trial. Seriously, I might have been tempted to pay the cost of the course just for these spreadsheets ALONE. They’ll keep me going for months…if not years with valuable info to make informed SEO-related decisions. Here is a complete overview of the structure of the course so you can see exactly what you’re paying for (The number in brackets indicates how long the video lesson is). Another encouraging sign for me was seeing that Mike plans to update the course and make it even better over time. For example, here are some snapshots of some of his posts in the Facebook support group on how he’s making the course even better and relevant as time goes on. Does Stupid Simple SEO Actually Work? We’re still implementing what we’re learning, but as you can see from the graph, our reach on Google Search has definitely increased. In fact, the number of impressions nearly doubled. Of course, it is still early days but I don’t see any reason why it can’t continue since we’re not the only ones who have benefited so far. Not to mention all the unsolicited testimonials Mike collected himself for his Stupid Simple SEO course. We were told that because we were a multi-niche site that SEO was never going to work for us. But luckily for us, Mike’s lesson “How To Rank Even If Your Site Is Very Broad” in the Search Intent, User Satisfaction & Relevance module showed us how to make it work for ourselves. If a super multi-niche site like ours can make it work, you can too! If you put the work in and have patience, SEO really can work for you. What Is The Price Of Stupid Simple SEO? Stupid Simple SEO’s price is $267 OR 3 monthly payments of $97. Or you can first try out his FREE 5-day SEO bootcamp course here if you need more time to think about it. When Is Stupid Simple SEO Next Open? Stupid Simple SEO isn’t open all the time and only opens a few weeks every year. The next opening date is scheduled from May 13th to May 17th. You can opt-in here if you haven’t already. Maybe you’re wondering what’s the catch? (Other than the cost). I know this sounds like a cliché but honestly, the catch is the hard work you’ll still have to put in to make this successful. But this course gives you everything that you’ll need to achieve this. Could the course honestly be tweaked and improved a little bit here and there? Sure it could. For example, I’d personally like to see a video on how to best use Neil Patel’s Ubersuggest tool. But, to be honest, Mike is improving the course so often and is so accessible that I could probably find all the answers I’d need on that just by asking in the Facebook support group. If there is an improvement to be made, Mike will make it—I have no doubt of that. I seriously have no regrets at all about buying this course. In fact, I’m super pleased that I did. It’s honestly a game-changer. It’s only $267 and unlocked a whole new level of opportunity for us here at Chasing Foxes.